Worldwide technology leader Cisco (NASDAQ: CSCO: $34.30) furthers its transition from hardware to software after recently announcing that they are acquiring San Jose-based Software-Defined Wide Area Network (SD-WAN) startup Viptela for $610 million in cash and assumed equity awards. Announced earlier this month, the acquisition will help expand Cisco’s presence in the cloud networking space, with Viptela enhancing Cisco’s SD-WAN portfolio with increased functionality and simplicity. As more enterprises realize the value and advantages of SD-WAN over traditional WAN technologies, there is little doubt that the future of networking is indeed being defined by software. SD-WAN has become the preferred option for many enterprises today for its ability to easily and cost-effectively simplify branch networking and boost the quality of cloud communications. Cisco is a networking giant that thrived on selling proprietary hardware for decades and therefore recognizes that it is important to stay relevant in the market, which is why they have swiftly moved their focus from hardware to software-centric products. Their acquisition of Viptela is proof of this. Prior to their acquisition of Viptela, however, Cisco possessed two existing SD-WAN offerings: Intelligent WAN (iWAN) aimed at on-premises deployments and Meraki SD-WAN aimed at the cloud. At first glance, one might wonder why Cisco had to scoop up SD-WAN rival Viptela when they already have their own technology. 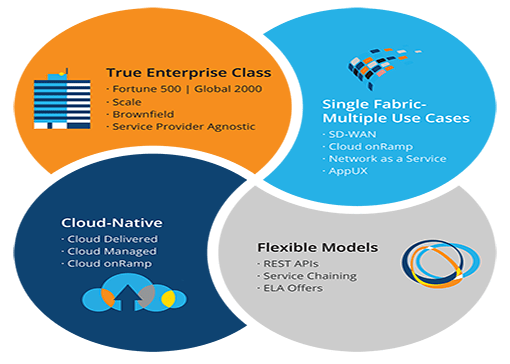 The answer is that by bringing Viptela into their fold, Cisco will be able to bolster their cloud efforts and also allow them to give their customers more options. Managing WANs is becoming a costly and complicated task for companies with multiple branch offices and remote employees, especially as the use of mobile devices and Internet of Things (IoT) connected to the network continues to increase. Because of this, it’s no surprise why SD-WAN solutions have become widely popular. With Cisco and Viptela joining forces, enterprises now have more quality options for enhancing their WAN deployments at their disposal. Viptela is a 5-year old startup based in San Jose, California that offers a pure open, software-based solution designed to streamline management, increase agility, and cut the costs associated with connecting the networks of geographically dispersed offices. The company was formed by a team of engineers from Cisco, Juniper Networks, and Alcatel-Lucent, and has had its share of success in the industry. In addition to being able to offer a comprehensive range of SD-WAN solutions that match different size and scale of customer needs, Cisco also said that their acquisition of Viptela also fits with their transition toward a software-based business model that delivers predictable, recurring revenue. The transaction is set to close in the second half of the year. Once it is completed, the Viptela team will become a part of the Enterprise Routing team within the Networking and Security Business, which is headed by Senior Vice President David Goeckeler. The company also assured that both Viptela and Cisco engineering teams will be working together to ensure continuous improvement of Cisco’s SD-WAN offering and provide continued support for customers. For more information about Cisco’s latest acquisition as well as their comprehensive range of solutions, please visit Cisco’s website. Cisco (NASDAQ: CSCO) is a worldwide technology leader, offering a wide range of IT and communication solutions. Established in 1984, Cisco was established with the mission to securely connect people and businesses with their innovative solutions. Their range of products includes networking, wireless and mobility, security, collaboration, data center, analytics, video, Internet of Things (IoT), and software solutions. Viptela is a San Jose-based provider of Software-Defined Wide Area Network (SD-WAN) technology. Trusted by more than 25 Fortune-500 enterprises and major carriers, Viptela is dedicated to helping global companies simplify their enterprise WAN architecture and streamline how they interconnect their sites.